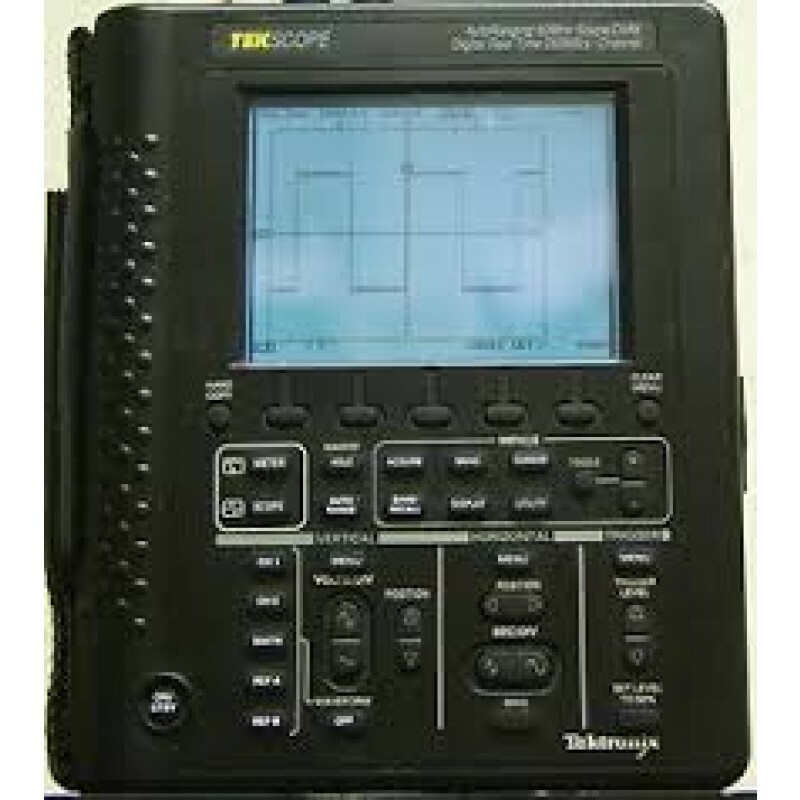 The Tektronix THS710 oscilloscope is a graph-displaying device – it draws a graph of an electrical signal. In most applications, the graph shows how signals change over time: the vertical (Y) axis represents voltage and the horizontal (X) axis represents time. The intensity or brightness of the display is sometimes called the Z axis. The Tektronix THS710 oscilloscope’s simple graph can tell you many things about a signal, such as: the time and voltage values of a signal, the frequency of an oscillating signal, the “moving parts” of a circuit represented by the signal, the frequency with which a particular portion of the signal is occurring relative to, other portions, whether or not a malfunctioning component is distorting the signal, how much of a signal is direct current (DC) or alternating current (AC) and how much of the signal is noise and whether the noise is changing with time. Performance Characteristics of the THS710 Form Factor Benchtop Bandwidth 60 MHz Number of Channels 2 ch Simultaneous Channels 2 ch Simultaneous Maximum Sampling Rate/ch 250 MSa/s One ch. only max. sampling rate 250 MSa/s Max. Record Length 2500 pt/sec Min.